On Friday, all three groups ran through the same drills in practice, beginning with 5 on 5 and 5 on 0 breakouts. The focus was on defensive zone positioning, support from the forwards and moving up ice as a unit. Early last season, the disconnect between forwards and defensemen played a significant role in Dallas’ 7-9-4 start, which torpedoed the team’s playoff hopes before Thanksgiving. Getting off to a good start has been foremost in the minds of Stars players and coaches, and it all starts with team defense. For those fans concerned that a more defensive mindset will mean fewer goals for the Stars, there’s no need to worry: Last season, Dallas was outscored by an average of 3.35 to 2.75 goals per game through the first twenty contests. Over the last twenty games of the season, after personnel changes and tactical adjustments kicked in, the Stars outscored opponents 3.20 to 2.65. Lehtonen stopped 14 of 14 shots and Niemi stopped 10 of 10 shots during their portion of the scrimmage. It’s one thing to have two goalies who want to be the starter. Having two goalies who are both capable of holding down the starting job is something else. In short, competition is good. Free-market principles win again. And so, too, will the Stars. Speaking of Competition…What About the D? 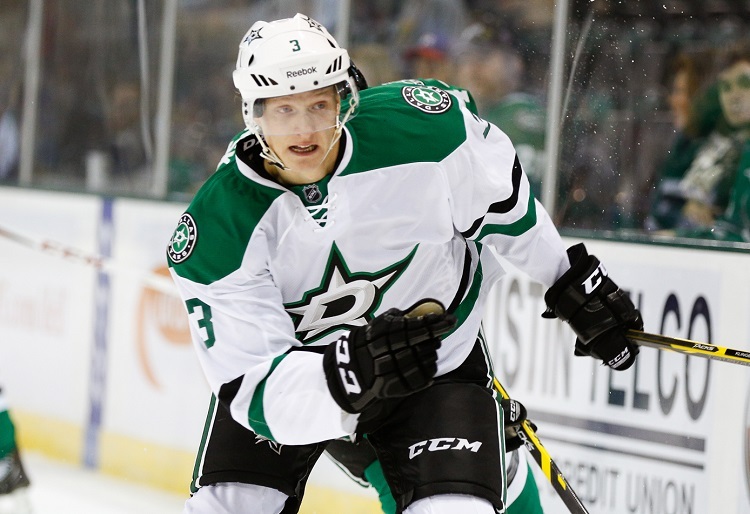 It’s entirely possible the Stars begin the season with eight defensemen in Dallas. A trade of one of the “bottom four” blueliners shouldn’t come as a surprise, though, as none would pass through waivers unclaimed. Julius Honka – He’s young, but he’s going to be very good. Needs at least one more full season in Cedar Park before he wows ’em in Dallas. Stephen Johns – Uneven. He had several good moments in scrimmages…and some not-so-good moments, as well. Expect him to start the season in Cedar Park. Matt Mangene – The 26-year-old forward-turned-defenseman has never played in an NHL game. Not sure if his size (5’11”, 190) is an issue or if it’s something else, but he was noticeable throughout the first five days. Offense-minded, good speed and hands. Fun to watch. Wouldn’t be surprised to see him running one of the Texas Stars’ PP units. Esa Lindell – Didn’t “wow” me, but I didn’t see any significant mistakes, either. Solid. Should be one of the first call-ups when the need arises. As discussed in a previous post, Brett Ritchie’s wrist surgery will keep him out of the lineup for three-to-four months. His absence represents an opportunity for several prospects in camp. After five days, the most impressive young forward was Jason Dickinson. The Stars’ top pick in the 2013 NHL Entry Draft was sharp from the get-go last Friday, displaying a nose for the net and an accurate shot. If he doesn’t start the season in Dallas, he’ll be on the top line in Cedar Park. Another prospect who impressed me in the early going was Cole Ully. Speed, stickhandling, shot; it’s all there. In Monday’s scrimmage, the line of Cole Ully-Travis Morin-Gemel Smith combined for four goals, two of which were scored by Ully, and largely dominated the opposition. The twenty-year-old is another candidate for Texas’ top line, though an October “audition” in Dallas isn’t out of the question. Through the first five days of camp, 3 on 3 play was given special emphasis due to the change to overtime rules this season. In the 2014-15 campaign, eleven Stars games were decided in OT, with the Boys in Green winning just four. Those seven lost points represent the difference between Dallas and Winnipeg, occupiers of the eighth (and final) playoff seed. Given the Stars’ offensive firepower, winning in OT should be virtually automatic. They can certainly end things quickly: In the first two post-scrimmage 3 on 3 sessions, goals were scored within the first twenty seconds, while it took almost a minute in the third scrimmage. The question, then, is how to defend. Coach Lindy Ruff experimented with multiple looks, including three forwards facing off against three defensemen (Klingberg-Lindell-Oleksiak), a much more balanced match-up than you might think. The one aspect of 3 on 3 play which became clear quickly is that all mistakes are magnified. Broken stick? Goal. Catch a rut and fall down? Goal. Puck jumps over the high attacker’s stick? Breakaway goal. Expect tinkering and tactical adjustments throughout the preseason, as Ruff seeks the right mix of offense and defense in OT.